Visit the charming city of Hinesville, Georgia any day of the year, and you will experience the friendliness of its people as you walk down the tree-shaded streets. Enjoy exploring the boutique shops, have a bite to eat at one of the many local restaurants or take a sandwich with you out to Bradwell Park with and enjoy an afternoon breeze in the Courthouse Square. The South Georgia climate is moderate throughout the year and locals enjoy hunting deer and wild boar as well as fishing in the local rivers and streams. One of the larger employers in Hinesville is the United States Army, particularly its 3rd Infantry Division that is headquartered at nearby Fort Stewart, the American military’s largest installation in the eastern part of the country. Liberty Park homes for sale in Hinesville GA have innovative new plans with a variety of options available to allow buyers to tailor their home to their family’s needs. 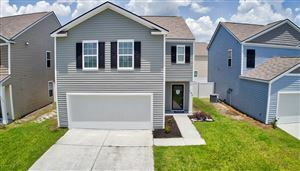 Homes in Liberty Park range from one-story, three bedroom, two bath 1283 square foot plans with a list price of $155,900, to two-story, four bedroom and two and one half bath 2789 square foot plans with a list price of $196,900. 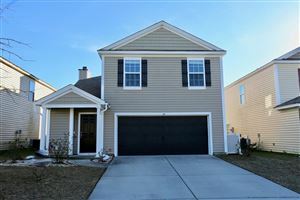 This neighborhood has the additional benefit of being located very conveniently just outside Gate 7 of Fort Stewart. We hope that you are impressed with the homes for sale in Liberty Park, and look forward to helping you find a home in this neighborhood or any number of other neighborhoods near Hinesville, GA. When you trust RE/MAX All American to help you through the home buying process, you can rest you will always be in good hands.